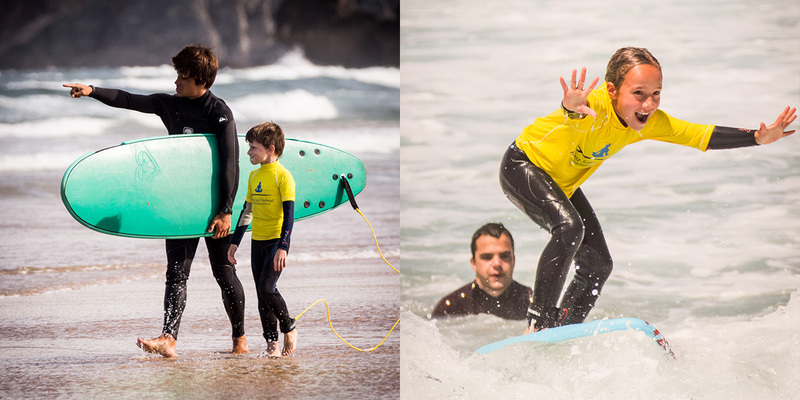 Teaching kids to surf and helping them learn about the ocean is a great experience not only for the children but also for us at the surf school. The ocean is a perfect playground when respected and safety is always put as the number one priority. We know that your kids are the most precious thing you have! 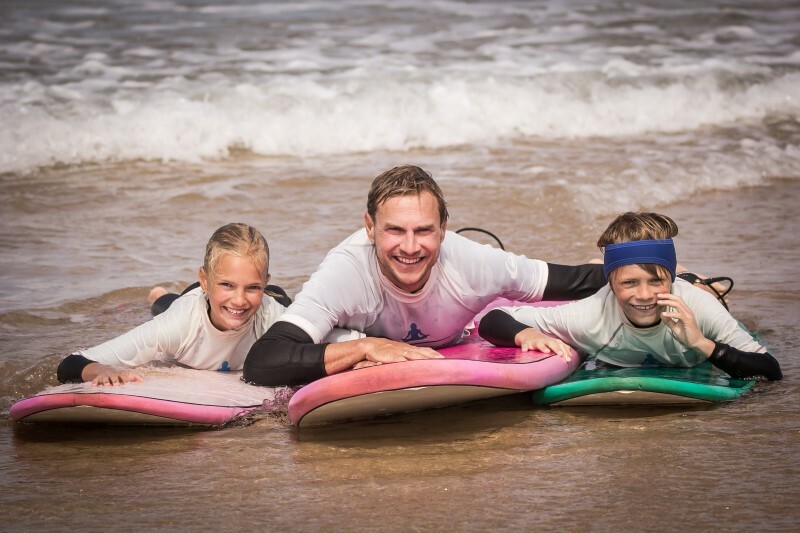 We have years of experience teaching kids and families to surf so you are in good hands with fully qualified and very friendly instructors. 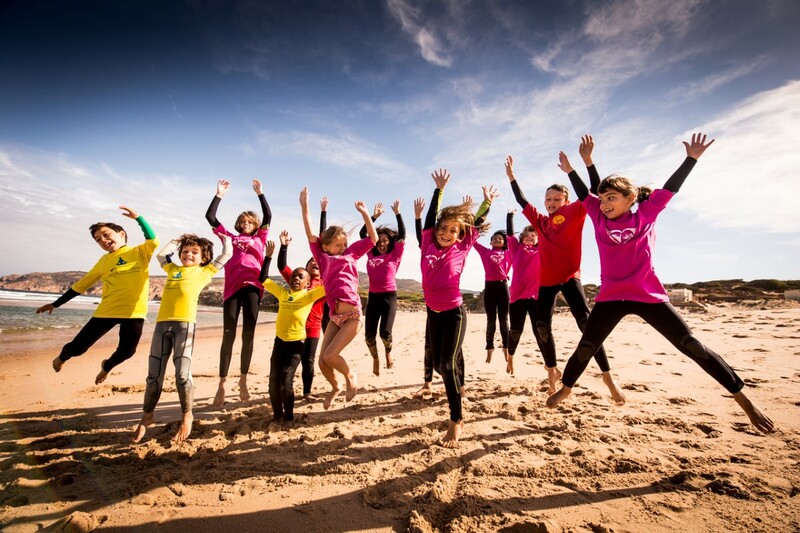 We teach kids from five years old and upwards, never to young to start! 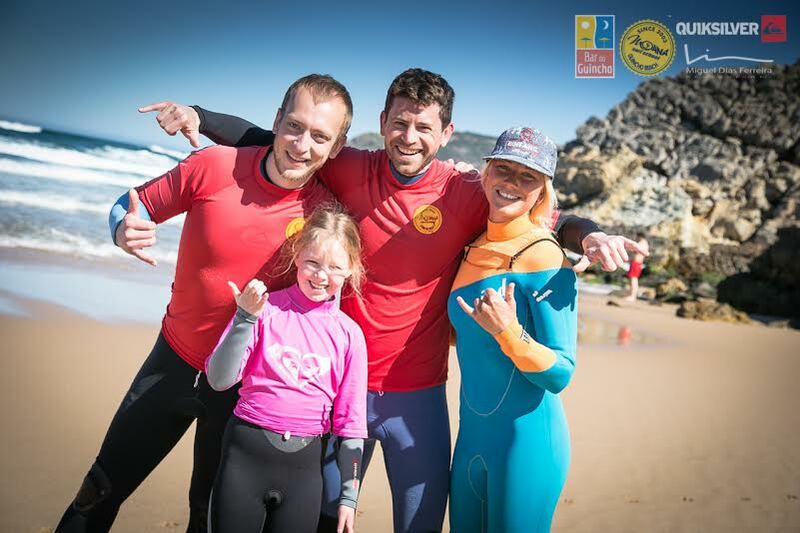 The surf classes are designed to unite the family whilst learning to surf, It is not just the standing up on the surfboard but also the smiles and the laughs and all the fun falling off and trying again and again until surfing the first wave! 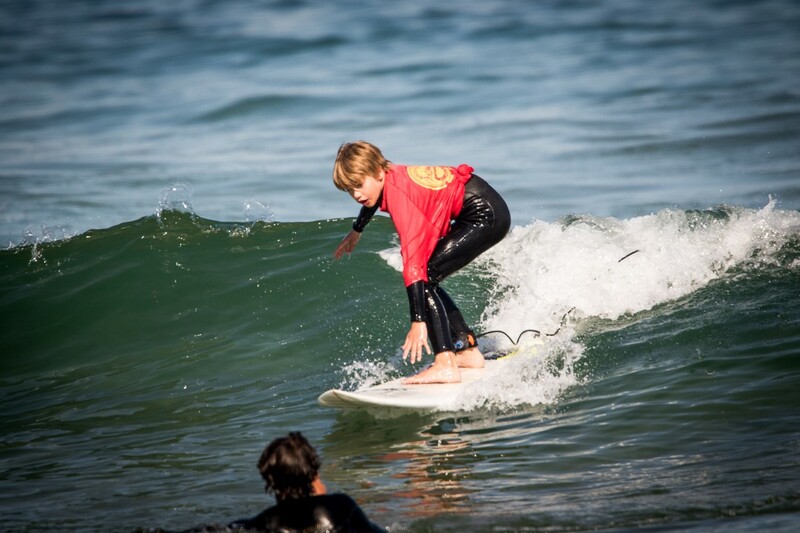 I (Alex) got my son in the ocean learning to surf when he was two years old! Made a exception to the five year old rule! He loves the ocean! We look forward to teaching you and your family soon!"